East Arkansas Regional Unit is also known as Brickeys. It houses a variety of custody levels from minimum to maximum security inmates. The facility itself has a capacity of around 1400 inmates and offers an assortment of programs. Like most correctional institutions, Brickeys offers inmates educational classes, including adult basic education and GED courses. There is a canine unit that allows offenders to work with dogs. Vocational activities include learning and working on crops in the fields as well as maintenance of various regional facilities. 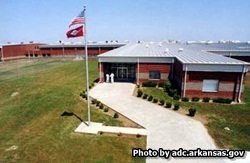 Inmates can also receive substance abuse treatment at Brickeys. Visiting at East Arkansas Regional Unit, also known as Brickeys, is on an alternating schedule on Saturdays and Sundays. Because of this you will need to contact the inmate and see which days they are allowed their visitation (example 1st Sat. and 3rd Sat, or 2nd Sunday and 4th Sunday etc.). The visiting hours are 11:30am-3:30pm with many visitors arriving early.